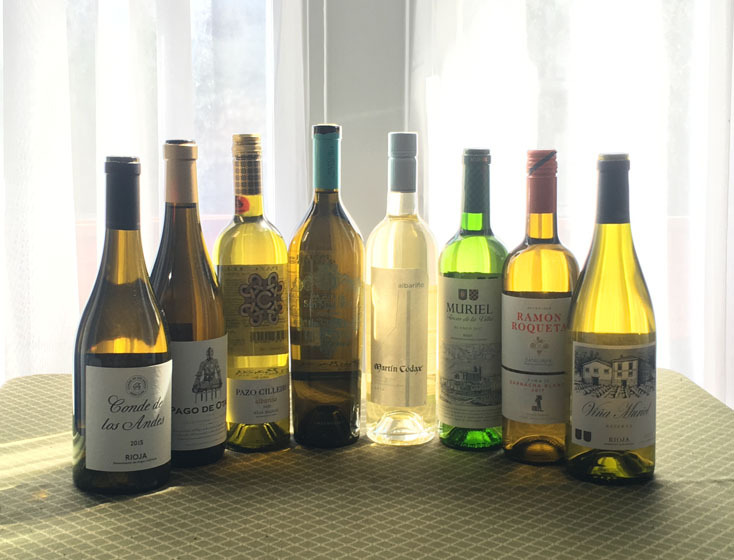 The Fifty Best held a “blind” tasting of recent release white wines from Spain with 14 members of our wine judging panel. Strict tasting rules were applied. The order of service was established beforehand by lottery. Each of the wines were poured into fresh wine glasses from new sealed bottles and served at room temperature. Only ice water and white peasant bread were available to cleanse the palate. 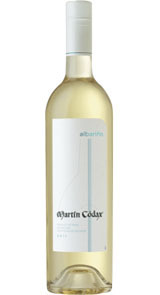 Made from 100% hand-farmed Albariño grapes from a cooperative that incorporates 1,400 vineyard acres. Following harvest, the wine was fermented in temperature-controlled stainless steel tanks. Aroma: Green apple, melon, tropical fruit, stone fruit, grapefruit, lemon, lime, lemon zest, grassy, vegetal, spice, brine, mineral, musty, funky soil, malolactic, oak, aged oak, heavy oak note, rich. Palate: Green apple, gooseberry, lemon, effervescent bitter lemon, citrus, lemon zest, lemon peel, citrus pith, green olive, amazing minerality, salinity, French oak, pretty wood treatment, Burgundian-style chardonnay. Finish: Green apple, honeydew melon, lemon, citrus, ocean, good oak structure, French oak, lemon pucker, crisp, balanced, refreshing, elegant. This wine was made from 100% Viura grapes grown on vines over 30 years old, planted in clay-limestone soil. Following fermentation in oak barrels on its lees (wasted yeast) for over three months, the wine was aged in the same barrels for 6 months and then in the bottle for one year prior to market release. Aroma: Apple, Granny Smith apple, white peach, tropical fruits, melon, grapefruit, lemon zest, lemon custard, honey, honeysuckle, white flowers, minerality, salinity, clean. Palate: Honey crisp apple, white peach, apricot, banana, light pineapple, melon, lemon, grapefruit, citrus, white grape juice, honey, Jolly Rancher, Juicy Fruit Gum, green olive, white pepper, minerality, French oak, subtle oak, some age, complex, refreshing. Finish: Apples, pineapple, lemon, grapefruit, citrus, minerality, French oak, subtle oak, great acidity, complex, crisp, refreshing, yummy. This wine was made from 100% hand-harvested Albariño grapes grown on 20-25 year-old vines planted in quartz and granite-rich soil. Fermentation and three months of aging took place in stainless steel tanks, with an additional two months of bottle aging prior to market release. Aroma: Peach, apricot, banana, gooseberry, lychee, green melon, lemon, lemon zest, lemon peel, citrus, citrus pith, flowery, elderflower, acacia, lees aging, malolactic, salinity, minerality. Palate: Peach, stone fruit, gooseberry, strawberry, citrus, grapefruit, lemon, lemon peel, lemon zest, lemongrass, honey, white pepper, salinity, minerality, tart, clean, everyday wine. 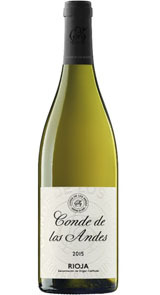 Finish: Lemon, gooseberry, citrus, lemon peel, well-balanced, tannic, minerality, dry, crisp, complex. 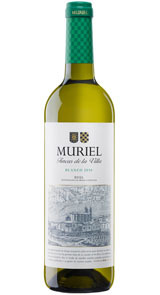 Grapes for this wine (100% Albariño) hailed from vineyards along the Minho River that are bathed in sunlight during midday hours. Following hand harvesting, the grapes were fermented in temperature-controlled stainless steel tanks. 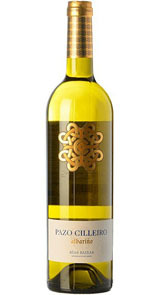 Aroma: Nectarine, white peach, green apple, gooseberry, grapefruit, lemon, citrus, lemon peel, lemon zest, toasty, wood, musty, aging on lees, pinot grigio. Palate: White peach, pineapple, pear, grapefruit, melon rind, citrus, lemon peel, candied lime peel, honeysuckle, white floral, herbal, minerality, oak, clean, refreshing. Finish: Sweet pear, melon, white grapefruit, lemon, limestone, wet stone, light minerality, oak, soft, crisp, big pucker, refreshing, very pretty. This wine was made from 100% Viura grapes that were fermented primarily in temperature-controlled stainless steel tanks, with a small portion fermented and aged in French oak. Aroma: Apple, green apple, pear, Asian pear, grapefruit, lemon, citrus, lemon zest, flowery, white flowers, perfumed, honeysuckle, malolactic, musty, lees aging, minerality, mineral. Palate: Bright apple, Asian pear, white peach, ripe melon, white grapefruit, citrus, lemon, white flowers, vanilla spice, grassy, sea breeze, minerality, earthy, smoky, good acidity, refreshing table wine. 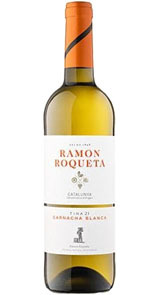 Finish: Pear, white grapefruit, lemon, lemon peel, hint of honey, vegetal, salinity, structured, delicate, soft, smooth, elegant. 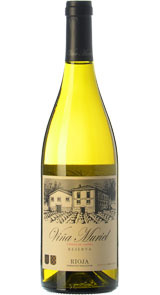 For this wine, 100% Chardonnay grapes were fermented in temperature-controlled stainless steel tanks. The wine was aged for nine months in French oak, followed by 18 months in the bottle before market release. Aroma: Apple, green apple, quince, gooseberry, beautiful apricot, rich cantaloupe, lemon peel, candied fruit, honey, lemongrass, hazelnut, white bread, musty, sherry-like, rich Old World. Palate: Pear, pineapple, kiwi, lemon, butterscotch, burnt sugar, vanilla, white flowers, minerality, salinity, musty, oak barrel, rich old French oak, very tart, tangy, beautifully balanced. Finish: Golden delicious apples, white peach, pineapple, citrus, vegetal, cedar, oak, funky, earthy, complex, structured, sherry-like. This wine was made from 100% Garnacha grapes grown in the Catalunya region of northeastern Spain. Following harvest, the grapes were crushed, destemmed and gently pressed in stainless steel vats during which temperature-controlled fermentation took place. Aroma: Apple, pear, stone fruit, pineapple, tropical fruit, tangerine, lemon, citrus, light grapefruit, flowery, butterscotch, salinity minerality. Palate: Apple, green apple, light white peach, tangerine, lemon, honey, rose petal, flowery, salinity, minerality, wet stone, clean. Finish: Green apple, melon, citrus, lemon zest, white grapefruit pith, lemon pith, rose petal, soft, tart, refreshing, pleasant, pretty finish. This wine was made from 100% Viura grapes that were fermented in new French oak over a one month period on its lees (wasted yeast). Following removal of the lees, the wine was aged in the same barrels for 8 months with another 18 months of aging in the bottle prior to market release. Aroma: Apple, peach, white grapefruit, lemon, flowery, perfume, brie rind, lees aging, oxidative quality, malolactic, cedar, oak, wood, funky oak, oak aging. Palate: Peach, pear, honeydew melon, grapefruit, lemon, sour apple, vanilla, musty, funk, oxidative, flinty, oak, cedar, dry, complex, rich, interesting. 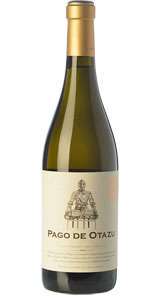 Finish: Peach, white grapefruit pith, vanilla, sweet oak, woody, soft, complex, evolves to reveal fruit.